Beginning at Waynesboro in the eastern part of the state, U.S. 84 passes through what was once one of the world’s great lumbering areas. Predominantly rural in character, this section of the state gives the traveler a genuine picture of a once glorious region. 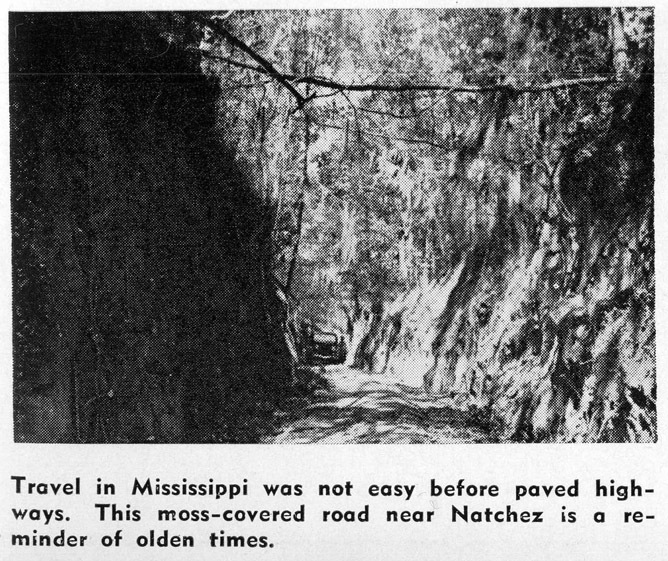 Leaving the pine woods country at Meadville, U.S. 84 enters the romantically interesting plantation lands surrounding the famous town of Natchez. Natchez with its wealth of historic lore and natural beauty is a fitting stopping place for a highway that gives a cross-section picture of some of the state’s most interesting sights. Waynesboro is the junction point of U.S. 84 and U.S. 45, which traverses the state north and south. 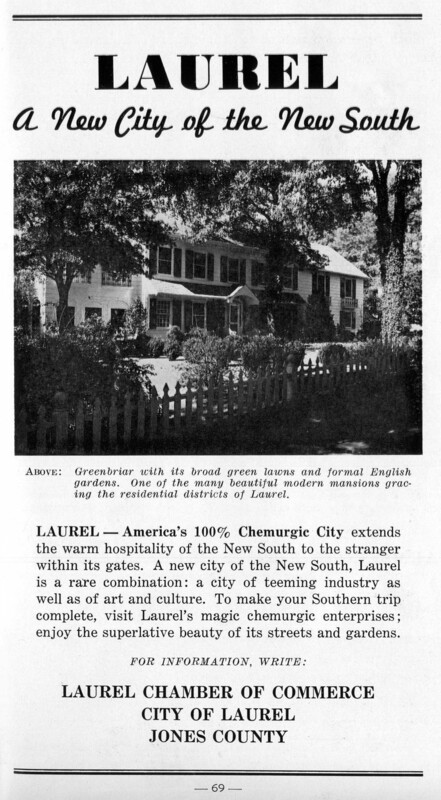 The traveler’s first stop west after leaving Waynesboro is the progressive town of Laurel. 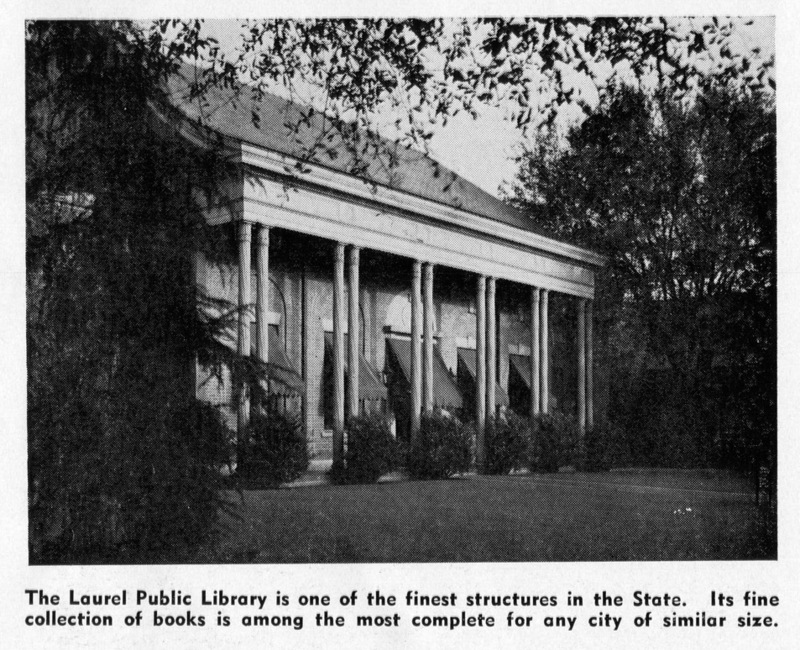 Collins, Prentiss and Monticello, found in this respective order west of Laurel, are three independent and prosperous farming towns. The reluctance to give up the gracious customs of the past make them an interesting picture of the old South. Brookhaven, where U.S. 84 junctions with U.S. HIghway 51, has almost outlived its ante-bellum character but still has many quaint and interesting sights for the tourist. On the way between Brookhaven and Meadville, U.S. 84 passes through Homochitto National Forest, parts of which afford the traveler an interesting insight into the work of the government in preventing soil erosion. At Meadville is found the beginning of the rich growth of vines and shrubs that characterizes the hills around Natchez. 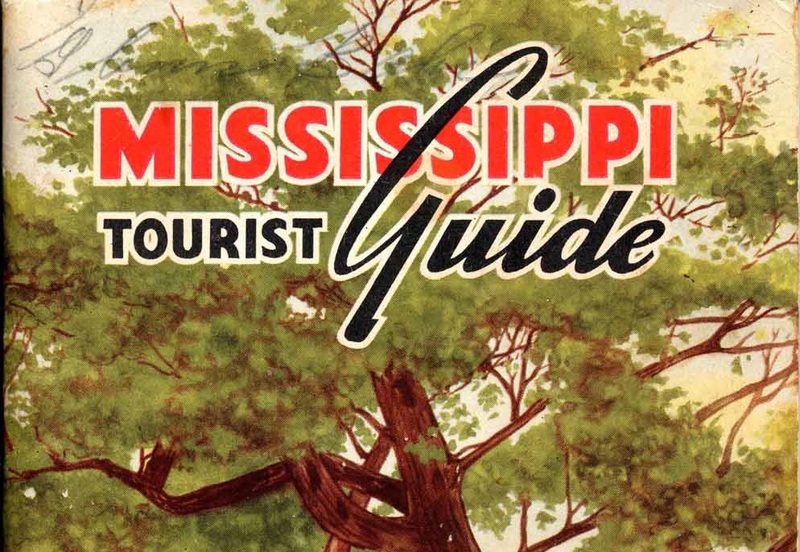 More about Highway 84 and other Mississippi highways . . .
‹ War Memorial Building’s Mystery Faces Revealed? interesting, as usual. and, i’ve learned a new word: chemurgic. did this stump anyone else? Yes, stumped me too, but it means “the development of new industrial chemical products from organic raw materials, especially from those of agricultural origin”. An obvious reference to Masonite, while featuring Masonite’s founder’s home in the picture. 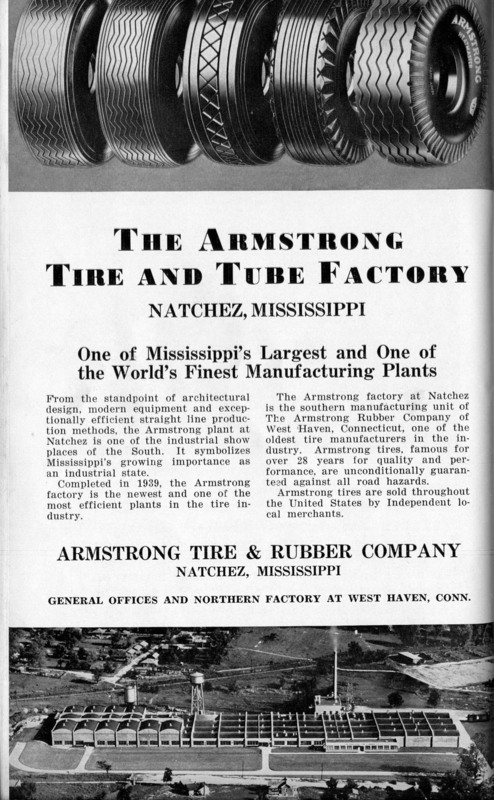 Don’t really know how big a deal Masonite is today in the area, but it was cutting edge technology back in the day. My dad actually worked in their R&D lab while he was in high school. When I clicked on the link to more information about Greenbrier, I was a little surprised to see the address. This was only two streets over and three blocks up from my grandparents’ house. I probably walked and skated by it many times in my childhood. Don’t remember it specifically, but there many awe inspiring homes in the area back then. Wonder what they look like now. Been wanting to make a trip to Laurel for a long time. Think I just got the needed inspiration! I grew up in a house with Masonite’s ‘cutting edge technology’ in our bathroom, and later by Congowall. “…interesting insight into the work of the government in preventing soil erosion” Is that a euphemism for kudzu?